Intermittent fasting is becoming increasingly popular. 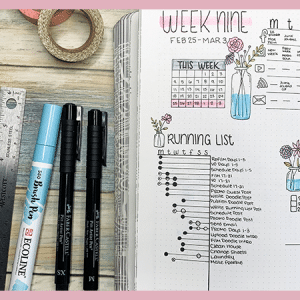 With your bullet journal, you can easily track your fasting time, goals, and progress with IF. For those of you that have been around for a while, you already know that I take my health and fitness very seriously. Up until recently, I had only dabbled with the idea of intermittent fasting. Although I tend to skip breakfast and just drink coffee anyways, I have never really tried to consciously do intermittent fasting. , which suggests we eat according to our circadian rhythm, avoiding eating in the late afternoon and evening. After that I read The Complete Guide to Fasting: Heal Your Body Through Intermittent, Alternate-Day, and Extending Fasting and I was determined to give it a try. And I’m so glad I did. If you look up intermittent fasting on Google, you will see that there are of 20 million results. That’s a lot of information and it can seem overwhelming. But, the truth is, intermittent fasting is fairly simple. Almost anyone can partake in the form of weight control and learn the basics of intermittent fasting. 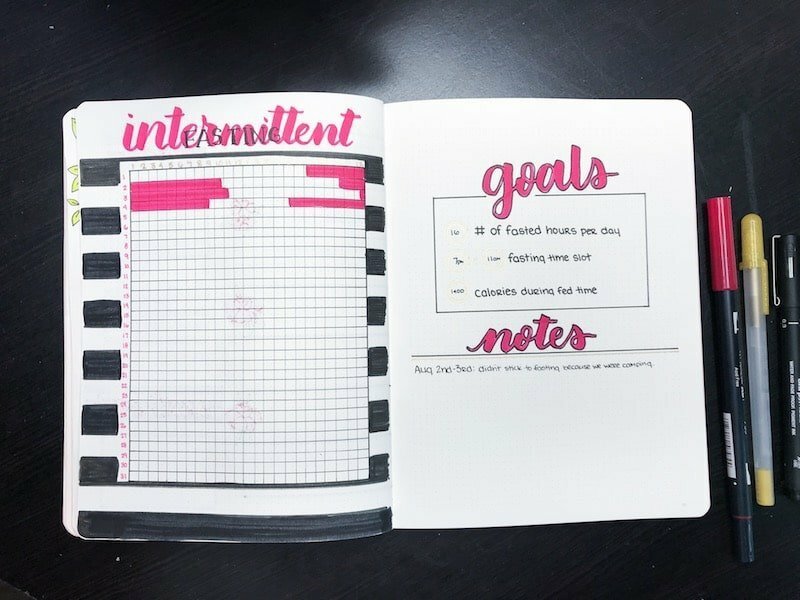 And with the help of your bullet journal, you can track, analyze, and set goals for yourself. 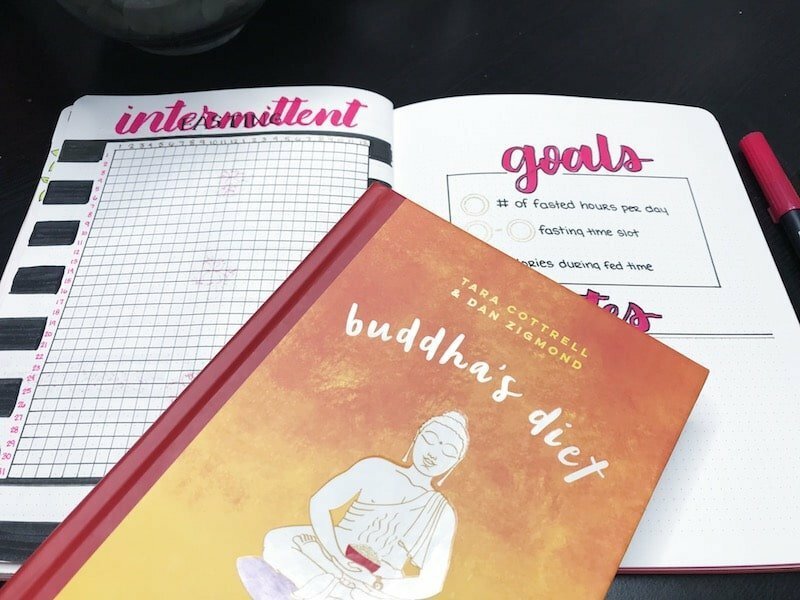 In this post, I’ll show you how I have created a quick and simple spread to guide and track my progress with intermittent fasting. The biggest part about IF, intermittent fasting, is the fasting period and the feeding period. The most common form of IF is 16:8, meaning you fast for 16 hours per day, and eat during the remaining 8-hour window. How you split your day will be up to you. I prefer to skip breakfast, but you may find it easier to skip dinner, making lunch your last meal of the day. For a more in-depth explanation, Nerd Fitness has a great article. 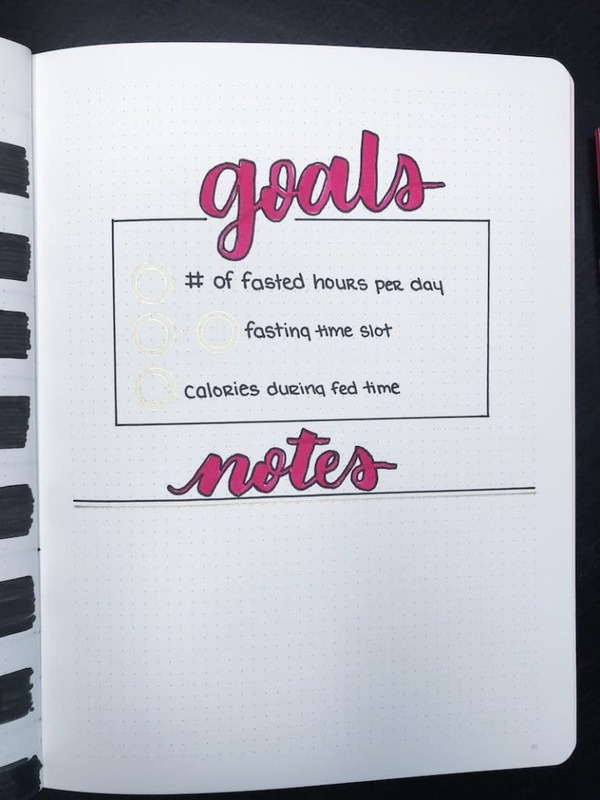 So, how do we incorporate this information into our bullet journal in a way that is effective and motivational? I’ve created a visual tracker to help see progress as well as a simple goals and notes page to track the stats and events that are most important. This spread looks and feels very similar to sleep trackers you may have seen on Instagram or Pinterest. First, you count out 24 horizontal spaces. Each of these single spaces will represent an hour of the day. Next, count out 30-31 rows. These represent the total number of days in the month in which the tracker is being used for. Use a ruler to draw straight horizontal lines to divide each day. Then, decide if you want to draw vertical lines to divide the hours of each day as well. This is a personal preference and you may prefer to not have the vertical lines on your tracker. 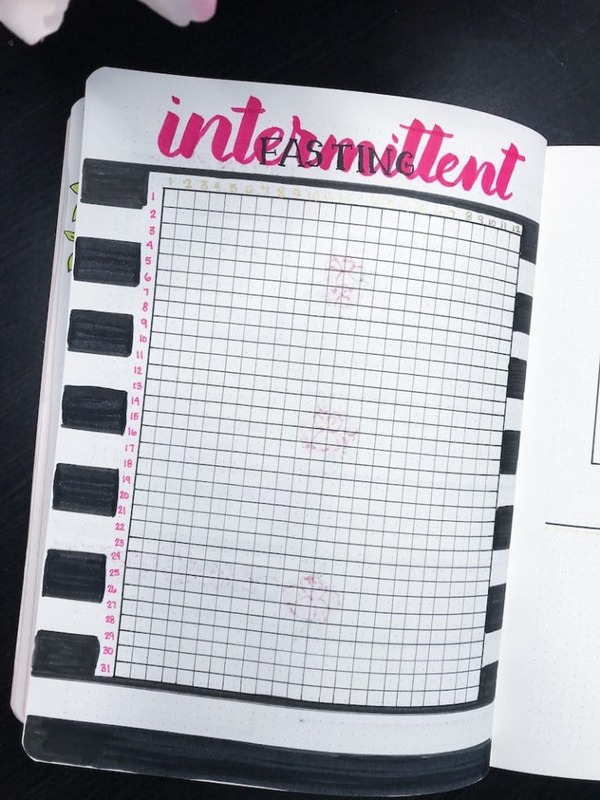 To fill this page in, simply choose a color to fill in the time you fasted each day. For instance, if you started your fast at 6pm on the 2nd, you would color in your bar starting at 6pm and end it on the 3rd day when you finish your fast at 10am, or whenever you fasting period ends. This page will allow you to see your average fasting period, average time frames that you fast, and how well you are sticking to your routine. This information can later be analyzed to readjust your fasting schedule, see inconsistencies, etc. For instance, you may find that you have a harder time sticking to your full 16-hour fast on the weekends and then be able to adjust your timing based on the chart you filled out. The adjacent page is for keeping track of your goals and taking notes throughout the month. I started with just half a page as I only intend to add short, statement-like notes that will help. But, you may decide to add an entirely separate page for these notes. Rather than focusing on weight loss for your goals, set goals that directly relate to your fasting. How many hours do you want to fast each day? What time do you want to start your fast each day? How many calories will you eat during your eating window? Another tool I use to track and motivate me to stick to my fasting period is an app called Zero (iOS only). The app is free and allows you to track when you start and stop your fast as well as set your fasting type. The two pre-designed fasting types in the app are the 16:8 fast (what I use) and the 13-hour circadian rhythm fast that tracks your fasted hours and any nighttime eating you do. To read more about this type of fast and the Zero app, you can read this article by the app’s designer. *This is not sponsored by the Zero app. I have been using the app for over a month and find it very user-friendly and efficient, and genuinely wanted to share it with you. Do you partake in any types of fasting? 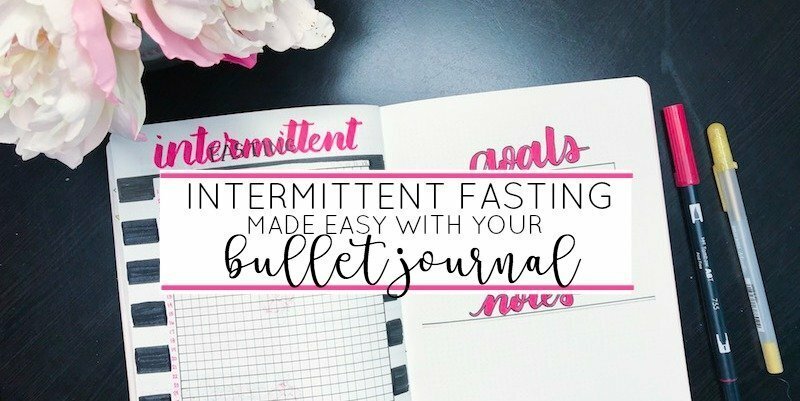 If so, do you use your bullet journal to help you track your progress and achieve your goals? I would love to hear your personal stories with intermittent fasting in the comments below. 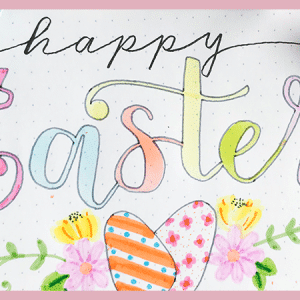 Be sure to share this post with your friends on Facebook, Pinterest, or Twitter.